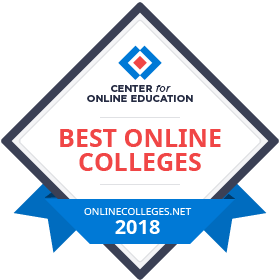 In order to rank the 50 best online colleges and universities, we built a detailed methodology that weighs several factors across three major categories. Read more about how we ranked these schools. Enrollment in online colleges and universities has increased in recent years, and experts project that the percentage of students taking classes online will continue to rise in the future. A 2015 Babson survey found that 28% of all postsecondary learners enrolled in at least one web-based college course. That accounts for approximately 5.8 million students, and a 3.9% increase (more than 200,000 enrollees) from the previous year. While enrollment gains have decreased slightly in recent years, online learning still outpaces overall higher education in terms of annual enrollment growth. Additionally, the survey found that 63.3% of college professors consider online learning to be a critical component of postsecondary education, and 71.4% have stated that the learning outcomes for web-based courses are "the same or superior" to traditional classroom-based instruction. Online degree programs are a convenient, cost-effective educational alternative for students who cannot commute to campus. Many web-based programs are taught asynchronously or on a self-paced schedule, allowing students to complete coursework on their own time. The distance format is ideal for students with full-time jobs, childcare obligations, and other commitments that prevent them from reaching campus. The most successful online students are organized, self-motivated learners who can complete required assignments and exams without supervision. Below, we've ranked the top 50 colleges and universities offering online bachelor's degrees for the 2018 academic year. We will also explore the various benefits of the online format, financial aid opportunities for distance learners, and the costs associated with a web-based program. UF earns the top spot in our best online colleges ranking thanks to its wide range of options for distance learners. Those pursuing a bachelor's degree can choose from 14 four-year programs, all of which are delivered entirely online. These include an RN to BSN program for aspiring nurses and eight liberal arts pathways. Four two-year completion programs are also available for associate degree-holders. The school serves online graduate students with 78 online master's programs, and more than a dozen doctoral and specialist options. Online courses at the university are offered through the Southern Regional Education Board (SREB) Electronic Campus, which draws from accredited learning institutions in 16 participating member states. Students whose homes states are members of the SREB may participate in the Academic Common Market/Electronic Campus, which allows them to enroll in more than 90 online degree programs at in-state tuition rates. At BYU-Idaho, students can pursue one of 11 bachelor's programs, most of which are concentrated in technology or healthcare-related fields. All courses are delivered through the MyBUI server using the BrainHoney learning management system. BYU-Idaho is a faith-based institution, with a mission grounded in the teachings of the Church of Jesus Christ of Latter-Day Saints. Each bachelor's program is 120 credits, comprised of major-related courses and general electives. Courses offered through BYU-Idaho Online are taught synchronously, following the semester-length curriculum of on-campus classes. Many courses require students to take part in regular discussions using an online forum. The university helps distance learners with online degree advising services and a tech support center. Online students at Fort Hays State's Virtual College may choose from 28 bachelor's degree programs, including concentration pathways in fields like business teacher licensure and human resource management. Undecided students may opt for the bachelor of general studies, a 124-credit program that allows students to choose a career-oriented concentration. A demo online course is offered free of charge. Fort Hays also has a broad international reach; the Virtual College currently serves roughly 6,000 students in more than 20 different countries. Online courses are delivered through Blackboard, and may follow a synchronous or an asynchronous format. Enrolled students may acquire course materials using the university's online bookstore. Prospective online students are invited to complete the Success Proclamation, a digital survey that addresses requirements and the unique challenges inherently part of web-based education. North Dakota's Dickinson State offers web-based bachelor's degree programs in accounting, business administration, finance, human resource management, and applied science ― all of which carry a 128-credit requirement. An additional bachelor of university studies program allows students to follow a general studies track and choose their own academic focus. Four associate degree and certification programs are offered online, as well. As part of the National Council for State Authorization Reciprocity Agreements (NC-SARA), DSU's online programs are open to students in any of the 46 participating member states. Most online courses at DSU follow an asynchronous format, and students are urged to log in at least twice per week for updates. Web courses are delivered through the Moodle learning management system. Multimedia content is captured using Tegrity technology, and online tutorial services are available through NetTutor. Rounding out the top five in our list of the best online colleges, Texas A&M offers one of the most robust online programs for graduate-level education in the country. Students can choose from a total of 48 advanced degrees, most of which fall under three core areas of study: agriculture and life sciences, education and human development, and engineering. Online pathways in medicine, nursing, and dentistry are available as well and students can also pursue 18 online certificate programs. Texas A&M's eCampus offers online courses powered by Blackboard Learn. Calibrated Peer Review (CPR) software allows students to critique and receive feedback on assignments from fellow classmates. Certain courses use Blackboard Collaborate web conferencing for real-time instruction as well. Hands-on practicum courses and sessions, along with face-to-face consultations, are held at the training classroom on the College Station campus. Online students at Indiana Wesleyan can choose from a range of programs, the bulk of which are concentrated in business and education. One of the highest-ranked evangelical Christian schools on our list, IWU also offers several distance-learning opportunities in theology, ministry, and seminary. Many bachelor's programs are taught in an accelerated format, and can be completed within 22 months. Online courses at IWU adhere to an asynchronous format. Each course is divided into seven-day sessions, or “workshops”; students must log in at least once per workshop to participate in group discussions and/or submit written assignments. A virtual classroom tool and instant messaging services are available for students who wish to collaborate with their peers. All online students gain access to IWU's Off-Campus Library, a comprehensive digital collection of books, journals, databases, and other educational materials. The school's web-based courses are delivered through University of Nebraska Online Worldwide, which draws from four of the university system's main campuses. Most courses are taught asynchronously, although some follow a synchronous format with scheduled log-in requirements. Out-of-state tuition rates are significantly lower for distance learners than for classroom-based students, while in-state tuition is the same regardless of program format. ECU offers more than 20 bachelor's degree and concentration programs for online learners, most of which are in business, education, and industrial technology. An online RN to BSN nursing program is also available, along with 50 master's degree programs in either an exclusively online or blended format. Aspiring teachers may pursue add-on licensure or alternative teacher licensure online, as well, while post-master's certificates prepare nurses for licensure in six niche healthcare fields. Online courses at ECU are taught in a synchronous format, and are designed to follow the same structure and schedule as on-campus classes. Most courses are delivered using the Blackboard or Centura learning management systems. In-state online students pay $163.45 per credit hour, and the distance education tuition rates are even lower for state residents who are also armed service members. Distance learners at UCF can choose from web-based bachelor of arts or bachelor of science programs in 18 areas of academic study. Most of these programs consist of 120 credits, and require students to maintain a 2.0 GPA or higher. All bachelor's programs are available as 2+2 baccalaureate pathways for incoming students with an associate degree. More than 50 online master's degree and advanced certificate programs are also offered, along with three doctorate-level nursing pathways. The school's Online Peer-Assisted Learning Portal (OPAL) allows students to form virtual study groups using Adobe Connect. Distance learners also have 24-hour access to UCF's virtual career advising center. Online students enrolled at SMWC can choose from 13 bachelor's degree programs, many of which are offered in an accelerated format. Other options for distance learners include three associate degree pathways, an RN to BSN pathway for nurses, and professional certificates in music therapy and transition to teaching. Online courses carry year-round start dates for added flexibility. The school follows an academic calendar made up of eight-week terms; most students complete their undergraduate program within four years or less. Online tutoring, academic advising, and peer mentorship services are available for all students enrolled in distance-learning programs. SMWC's online programs currently serve more than 800 students in 33 states and five countries. Indiana residents may receive tuition discounts and grade forgiveness as part of the You Can Go Back initiative. North Dakota's Valley City State University offers online bachelor's degree programs in business, education, music, and communication. Additional distance-learning opportunities include three master's degrees concentrated in education, along with professional certificate or endorsement pathways in niche areas like library media, English as a Second Language (ESL), and customer relationship management. Web-based courses at VCSU are delivered through Blackboard. Professors can provide two-way audio and videoconferencing using the school's Interactive Video Network, which serves students across North Dakota using a statewide network known as STAGENet. Online tutoring and test prep services can be arranged through the university's Learning Center. Students who attend the University of Illinois at Springfield may choose from 12 online bachelor's degree pathways, four of which are also available as minors. More than 30 master's degrees and professional certificates are offered in an exclusively online format as well. Incoming students who have earned an associate degree from one of the participating partner schools may complete their bachelor's degree online as part of the UIS 2+2 program. The university's online courses are delivered through Blackboard, and most follow an asynchronous format -- although some feature required live instruction. Most of these courses use web conferencing or email as the primary mode of communication between faculty members and students. Liberty University offers a range of bachelor's programs for distance learners, most of which are delivered exclusively online. These options include a BS in business administration with 17 available concentrations and an RN to BSN for aspiring nurses. Dozens of master's, doctorate, and professional certificate programs are offered in online and hybrid formats as well. Currently the nation's largest private, nonprofit college and the world's largest religious postsecondary institution, Liberty’s distance education program serves more than 95,000 students worldwide. Online courses are taught asynchronously, allowing students to complete assignments and exams at their own pace. Most programs follow an eight-week schedule, though some are 14 or 17 weeks in length. Alabama's Troy University offers a wealth of opportunities for distance learners. Undergraduates may choose from more than 80 online degree and certificate programs at both the undergraduate and graduate levels. Troy's lengthy history of distance education distinguishes it from other colleges in our ranking; the school began offering online courses via dial-up Internet in the early 1990s, and the eCampus was launched in 2005. Troy's online courses are delivered through Blackboard, and most follow a synchronous format with weekly assignments and required online discussions. Current members of the U.S. military or National Guard receive a reduced tuition rate of $250 per credit hour. The university's Trojan Cafe is an online meeting place designed to serve current and former students around the world. Part of California's Chapman University system, Brandman offers dozens of exclusively online degree and certificates. Specific programs fall within four core areas of study: arts and sciences, business and professional studies, education, and nursing and health professions. Brandman's business administration offerings are particularly extensive, with 10 concentrations at the bachelor's level and 10 MBA concentrations. All of the school's online courses are created using the Brandman Instructional Design for Engaged Adult Learning (IDEAL™) model, and delivered through Blackboard. Prospective applicants are invited to take an online demo course free of charge. Students at ULM can choose from 16 bachelor's programs offered exclusively online; all range between 120 and 125 credits in length, and generally require four years to complete. The school's other online options include 18 master's degrees, an AGS degree, and doctorates in education and philosophy. The bulk of ULM's online courses for undergraduates are taught in eight-week sessions, allowing students to complete five sessions throughout the academic year; some courses follow a four- or 16-week format. Distance learners can keep all of their assignments organized using the myHomework Student Planner App. The school has been recognized for providing affordable, web-based bachelor's degree programs by sites like College Choice and OnlineCollegePlan.com. Online undergraduate and graduate degrees at New York's Excelsior College fall under six core areas of academic study: business, health sciences, liberal arts, nursing, public service, and technology. The school's Center for Professional Development also offers non-credit training modules, all of which can be completed within three to six months. All online courses at Excelsior are delivered through Blackboard and follow an asynchronous schedule. Students are required to post in web discussion boards once per week for each course. CD-ROM-based formats are available in select courses for students who don't have consistent internet access. All undergraduate and graduate-level online students at Excelsior pay the same tuition, regardless of state residency. Originally founded in 1998, Penn State's World Campus is one of the most expansive online colleges on our list. Distance learners can choose from more than 125 degrees, certificates, and minors at the undergraduate and graduate levels. Most programs are delivered exclusively online, though face-to-face residencies are required for certain advanced degree pathways, including the MBA, master of finance, and master of supply chain management. Most World Campus courses are delivered through Blackboard and follow an asynchronous format; they include weekly assignments, group projects, discussion board activities, and scheduled exams. Some degree and certificate programs are cohort-based, requiring students to enroll in a certain number of credits per term. Students who successfully complete their academic programs are invited to take part in the school's on-campus graduation ceremony. Indiana University East features 12 bachelor's-level online degree completion programs designed for incoming students who have already completed at least 60 credit hours or earned an associate degree. These options include both a BA and BS in communication studies, an RN to BSN program, and a BGS geared toward undecided students. Four graduate certificates are also available. Distance learners pay tuition rates ranging from $215.92 to $409.16 -- depending on their degree level and state residency -- plus a $50 fee for each online course. The university hosts seven academic schools, along with a branch of the Purdue University College of Technology. IUE participates in the Yellow Ribbon Program and offers numerous benefits to veterans and military service members, including the Montgomery GI Bill for active duty and reserve members. Online undergraduates at NSULA can choose from more than 20 bachelor's degree programs, including concentration pathways in criminal justice, family and consumer sciences, psychology, and unified public safety administration. The school also hosts dozens of online master's programs, more than half of which are devoted to education-related fields. Other options for distance learners include an AGS, three specialist degrees in education, a doctorate in nursing, and three postbaccalaureate certificates. The school's online courses are delivered through Moodle, and most use a combination of online lectures and webinars. NSULA founded the first electronic campus in the state of Louisiana, and currently offers a flat tuition rate for all online students. Distance-learning programs at Saint Joseph's are offered in an exclusively online format. Undergraduates can choose from more than 50 pathways, including many fast track options designed for students who plan to earn a master's. A religious school, the college also offers a handful of online degree and certificate programs in theology. Saint Joseph's operates on a year-round calendar, with courses that begin at the start of each month. All of the school's online courses are delivered through the Brightspace learning platform. Each online student is assigned an academic adviser to assist with degree planning. Online tutoring services and virtual library access are available to distance learners. Undergraduates enrolled at Embry-Riddle can pursue online bachelor's degrees in 14 disciplines, most of which are concentrated in technical fields. Additionally, the school offers four accelerated 4+1 programs geared toward students who plan to obtain a master's degree; these pathways may be completed within five academic years. Other online options include six associate degrees, 18 master's degrees, and a PhD in aviation. The school also periodically offers free massive open online courses (MOOCs). Embry-Riddle has offered distance learning programs for more than 45 years. Online programs are synchronous, and delivered through the EagleVision learning management system. Distance learning opportunities at Florida's Hodges University include 30 associate, bachelor's, and master's degree programs offered exclusively online. The school also offers self-paced degree programs through the UPOWER platform; students pay a flat tuition rate for unlimited course access. Ten UPOWER programs are available, most of which are concentrated in technology-related fields like computer systems and information technology. Graduate certificates in long-term care (nursing home) administration and electronic discovery/litigation are also available. Most bachelor's programs at Hodges are taught in an accelerated format, allowing students to complete their degree within three years. Distance learners in the web-based health information management program are required to complete an onsite internship, but the school's other distance-learning programs are available entirely online. Available online degree and certificate programs at DSU vary by the student's state of residence; in most cases, however, distance learners can choose from more than 30 undergraduate and graduate programs. Of the 12 bachelor's degree programs, half are concentrated in technology-related fields; other areas of focus for undergraduates include accounting, special education, and marketing. All online courses are self-paced, and delivered using the Desire2Learn management system. Many web courses are taught concurrently with the same classes taught on the DSU campus, allowing students in both settings to collaborate on group projects. Online students pay the same tuition rate as their on-campus counterparts. Bachelor's degrees at OIT are available online in applied psychology, health informatics, information technology, operations management, and technology and management. Seven degree completion programs are also available for working professionals who have already earned a two-year credential. Other options for distance learners include associate degrees and certificates in clinical sleep health and polysomnography, along with a master's degree in allied health. Online courses at OIT are delivered using the Blackboard Learn platform, and some utilize Collaborate web conferencing software. Degree programs follow a self-paced schedule designed for students who are employed full- or part-time. Distance learners pay the same tuition rate regardless of state residency. AU Online offers 16 bachelor's degree programs, including popular degrees in business administration, criminal justice, emergency services, or human services. An RN to BSN track is also available for aspiring nurses. As a private institution affiliated with the Church of God, the school also features an online Christian studies bachelor's degree program, along with master's and doctorate programs in ministry. Additionally, many degree programs follow a blended format. Online courses at AU are delivered using the Moodle learning platform, and require regular participation on group discussion boards. Each student is assigned a "journey coach" to provide academic and career advisement; journey coaches generally touch base with students once per month. One of the most eco-oriented schools in our list of best online colleges, OSU allows distance learners to pursue bachelor's degrees in fields like fisheries and wildlife sciences, environmental economics and policy, and horticulture, along with a double-degree sustainability program. The school also offers a blended interagency fire management program and web-based bachelor's degrees in three foreign languages: French, German, and Spanish. The university exploratory studies program is geared toward distance learners who haven't decided on a major. Virtual tutoring services, along with 24-hour tech support and library assistance, are available to online students. Online students can also use the BuddyUp app to touch base with fellow learners and form study groups. With a few program exceptions, tuition rates for students enrolled in OSU's eCampus are significantly lower than those for on-campus students. Bachelor's degrees at WGU are available online in four core academic areas of study: business, education, information technology, and healthcare. The school also offers online master's degrees in these subjects, along with four post-baccalaureate licensure programs for teachers. Undergraduate programs at the university are self-paced, with most students completing the requirements within two to three years. WGU is one of the largest online colleges in the country, currently serving more than 70,000 online students in all 50 states, along with hundreds of armed forces members and international learners. All WGU students are assigned a faculty mentor to assist them in creating a customized degree plan. Tuition rates at WGU have not increased since 2008, and all students are billed a flat rate for each six-month term regardless of courseload. Siena Heights offers nine exclusively web-based bachelor's degree programs; areas of study include business administration, higher education leadership, and an RN to BSN pathway for aspiring nurses. Additionally, distance learners can pursue minors in healthcare management, management, marketing, and IT management. Online courses for undergraduates follow a synchronous schedule; requirements include written assignments and regular participation on virtual discussion boards. However, many courses are available in an accelerated format, allowing students to complete requirements in less than 15 weeks. U.S. News & World Report ranked Siena Heights in the nation's top 100 online bachelor's degree programs, and awarded the school a score of 98/100 for student engagement. The Center for Distance Learning at SUNY Empire State College allows students to pursue online graduate degrees in business, education, liberal studies, and policy studies. Some of these options carry residencies or other face-to-face requirements. Bachelor's and master's degrees in nursing are also offered, both in online and blended formats. SUNY Empire State allows distance learners to enroll from anywhere in the world. Online courses at the college are delivered through the Moodle learning platform and follow an asynchronous schedule, with no pre-scheduled class times. Virtual peer tutoring services are available for distance learners. Eligible students may apply for the Morton Bahr Online Learning Scholarship, which covers tuition and other fees associated with web-based degree programs. One of the top corporate education providers on our best online colleges list, Michigan's Cleary University offers online associate, bachelor's, and master's degree programs with a business-oriented focus. Specific areas of study include accounting, entrepreneurship, management, and marketing. Distance learners may pursue a BBA in executive management following an accelerated 12- or 18-month track. Online MBA-seekers may choose from three concentrations: analytics, technology, and innovation; global leadership; and health care leadership. Graduate and professional certificates are offered online as well. Cleary's online courses are delivered using the Moodle learning platform. Students who demonstrate financial need may qualify for the university's START program, which provides free loans to cover all or some of the recipient's tuition costs. Distance learners at UTPB can choose from more than 20 undergraduate and graduate-level programs, all offered fully online. Many bachelor's-level options are available in an eight-week format that allows students to complete all degree requirements in as little as 16 months, including the RN to BSN nursing path and two business administration concentrations. The graduate-level Teacher Alternative Certification also follows an accelerated schedule. Nearly half of UTPB's student body is classified as exclusively online. All of the school's online courses are delivered through Blackboard. UTPB's online programs have been approved for students in 49 U.S. states, although there are exceptions in some states concerning the educational leadership master's degree track. Online tutorial services are offered through the university's SMARTHINKING program. Students at UMC may choose from 14 bachelor's degree programs offered exclusively or partially online, most of which are concentrated in business-oriented fields. Online minors are also available in seven disciplines: accounting, communication, entrepreneurship, finance, international business, management, and marketing. Students can also pursue online certificates in finance, taxation, and manufacturing management. UMC's online courses are delivered through the Moodle platform and follow a 15-week semester schedule, with an additional eight-week session during the summer term. Online students in certain programs are able to participate in onsite internships. Tuition rates for web-based students are capped at 13 credits, allowing students to take additional courses without paying extra. One of the largest religious institutions on our list of best online colleges, CCU offers more than 40 associate, bachelor's, master's, and certificate programs entirely online, covering a range of academic subjects. A post-baccalaureate special education teaching endorsement is available online, as well. Each course runs between five and 10 weeks in length, and semesters are divided into blocks. The school boasts a 9:1 student-to-faculty ratio, and the average freshman retention rate from 2011-12 to 2014-15 was 91%. Online courses at CCU are delivered through Blackboard, and follow an asynchronous schedule with weekly assignments and log-in requirements. Distance learners pay the same tuition rates as their classroom-based counterparts. The university allows students to enroll in most online programs from all but two U.S. states (Delaware and Wisconsin) or Washington D.C.; however, there are exceptions for the MA in counseling, RN to BSN, and master of nursing programs. Distance learners at Bellevue University may choose from 50 exclusively online bachelor's degree programs, most of which are concentrated in business and management-oriented fields. Web-based minors are also offered in six disciplines. Other online programs include 28 master's degrees and a PhD in human capital management. Some degrees are available in a blended-course format. Courses and degree programs follow a rolling schedule, with start dates throughout the year. Bellevue's web-based courses are delivered through Blackboard, and use Cyber-Active online classroom software. Online students register for courses, monitor grades, and perform other associated tasks using the Bellevue Real-Time User Information Network (BRUIN). Online students at UNC Greensboro may choose from eight web-based bachelor's degree programs, ranging from peace and conflict studies to public health and supply chain management. Most courses follow a standard semester-length schedule, although some can be completed in seven weeks. More than 20 master's degrees and graduate certificates are also offered online, along with doctorate programs in kinesiology and educational leadership. Online courses at UNC Greensboro may follow a synchronous or asynchronous format. Undergraduate courses are priced at a lower tuition rate than classroom-based classes, although costs are impacted by the student's state residency. The school's website features Ready to Learn modules that introduce prospective online students to the technology, classroom environment, and lifestyle of distance education at UNC Greensboro. The only entry on our best online colleges list devoted to polytechnic studies, UW-Stout offers 13 BS degree programs in an exclusively online or blended-course format. Several of these options are designed as degree-completion pathways for students who have already earned an associate. Graduate students may pursue online or blended master's degrees in 13 different disciplines. Blended specialist and PhD programs are also available, along with 30 online professional certificate and certification tracks. Nearly 1,800 online students are enrolled at UW-Stout, with undergraduates taking an average of seven credits per term. Online students at UW-Stout may be eligible for the need-based CI Scholarship, which awards between $500 and $1,000 to 24 recipients each year. OCU offers associate, bachelor's, and master's degree programs in an exclusively online format. Those who pursue a bachelor's degree in business administration will be able to choose from 11 concentration options. The school also features several degree programs focused on religious areas of study, such as theology, biblical studies, and church planting. Graduate students may earn a dual MBA and MA in ministry degree. All incoming students are assigned to peer cohorts that will progress through the same program together. Courses follow an accelerated, asynchronous format; students are expected to log in at least once per week to submit assignments and participate on class discussion boards. UofM Online features a total of 15 web-based undergraduate degrees in the liberal arts, communication, and business. Other four-year online options include an RN to BSN program, along with bachelor's degrees in liberal studies and professional studies made available through the school's Regents Online Degree Program. More than 30 online master's degrees, doctorates, and graduate certificates are also available, roughly half of which are concentrated in the field of education. UofM online courses are taught asynchronously, and are designed to follow pre-scheduled deadlines. Students may complete their degree or certificate program entirely online, or through a blended-course schedule with the approval of their academic advisor. All courses are delivered using the Desire2Learn platform. Online students at NSU may earn bachelor's degrees in business management, health science, psychology, and nursing. More than 50 master's and doctoral degrees are also available in the online format, most of which are in education. Additionally, aspiring teachers can pursue 13 education specialist credentials in areas like curriculum/instruction management and administration, early literacy and reading, mathematics, and ESL. Graduate certificates are offered in six fields. Distance-learning courses at NSU are delivered through Blackboard, and use real-time virtual classrooms where students and faculty members can interact. Students are required to regularly contribute to class discussion boards, and all assignments are submitted electronically. More than 40 online degree programs are offered at UND; options for distance learners include a bachelor's in engineering with five possible concentrations, seven education-oriented master's degrees, and multiple programs in nursing at the bachelor's, master's, and doctoral levels. Undergraduate and graduate certificates are also available in 14 areas of study. Some programs are held exclusively online, while others are blended to include occasional trips to campus or a field visit. Course formats vary by subject; some use virtual classroom software, while others feature live class meetings captured with individual webcams. Regardless of their current residence, all online students at UND pay in-state tuition rates. Prospective students are invited to take UND's distance education quiz to see if online learning is suitable for them. Westfield State features web-based bachelor's programs in six academic fields of study: business (with three concentrations), criminal justice, history, liberal studies, psychology, and sociology. Four online minors are also available, along with a Professional Development Points (PDPs) program for preschool, elementary, and secondary school teachers. Courses follow a semester-based academic calendar, with additional accelerated sessions during summer and winter. All online courses are delivered with the school's PLATO learning management system, powered by Blackboard Learn. Instructors may also use Blackboard Collaborate for web conferencing during virtual office hours. Other course tools include Audacity, used for recording vocals and creating podcasts, and Jing, used to capture and manage screenshots. Undergraduates at Missouri State can select from 11 online BS and BAS degree programs. Online minors in fields like accounting, criminal justice/criminology, and religious studies are also available, along with undergraduate certificates in fire administration and television/film writing. Options for graduate-level distance learners include a dozen master's degree programs, two nursing doctorates and 11 graduate certificates. MSU's website also profiles each online learning pathway in an extensive Careers and Outcomes section. Online courses at MSU are delivered through Blackboard, and they follow a self-paced schedule. All online students at MSU pay the same tuition rates, regardless of state residency. The university participates in the Yellow Ribbon program, and offers priority registration for military veterans and active servicemembers. Online students at Florida International can pursue web-based bachelor's degrees in communication arts, criminal justice, or early childhood education; each program is 120 credits in length. Options for online graduate students include a corporate MBA, along with master's degrees in computer engineering (network security) and construction management. Professional certificates in nursing and healthcare management are also available to distance learners. FIU’s online courses follow an asynchronous format, and are delivered through Blackboard. Other class tools include Adobe Connect for web conferencing, Respondus Studymate Class learning software, and ProctorU testing software that allows students to complete exams on their home computer. A demo online course for prospective students is featured on FIU's website. NAU's online degree offerings include 111 bachelor's, master's, and doctoral degree programs spread out over seven core academic areas of study. Other options for distance learners include 20 minors ranging from 18 to 24 credits in length, along with 36 professional certificates and endorsements. These programs vary by format: most are exclusively online, while roughly 40 are blended. Online courses at NAU are delivered using Blackboard Learn. Most follow an asynchronous schedule, and primarily consist of slideshow-based lectures and group discussion boards. Web-based tutoring services are available through the university's Student Learning Center. Non-Arizona residents enrolled entirely in online courses may qualify for tuition discounts through the World Wide University (WWU) network; eligible candidates save more than 35% on course costs compared to out-of-state students. Saint Leo Online offers 17 online bachelor's degree programs, including 10 business-oriented majors and three programs dedicated to criminal justice. Additionally, online minors are available in four disciplines. Associate degree-seekers can pursue a two-year degree in four different subjects. The university also features 30 online master's programs in business, theology, education, and social services, along with a doctorate of business administration. Saint Leo's online courses are designed to mirror the curriculum of the university's on-campus classes. Requirements for each course include written assignments, exams, business plans, and case studies, along with group discussions held in a virtual classroom setting. Military veterans and active service-members receive a substantial discount on their tuition rates. Online students at LeTourneau University can choose from degree pathways in five different disciplines. These options include two programs in the field of aviation and aeronautical science, along with bachelor's and master's options in business and technology, education, and psychology. LeTourneau students generally receive assignments every Monday and must complete them by the following Sunday. Some programs feature accelerated courses that can be completed within three to five weeks. All online courses at LeTourneau are delivered using Blackboard. Tuition rates vary per program, but online undergraduates generally pay much less than their on-campus counterparts. Graduate students pay the same tuition regardless of learning format. Minot State's programs for distance learners include nine undergraduate degrees, seven graduate degrees, and five professional certificates; all follow an exclusively online format, although blended-course options are available in certain subjects. The majority of bachelor's programs are concentrated in business or human services, while the master's degrees include five special education concentrations. Online courses at Minot State may follow asynchronous or synchronous schedules, depending on the program of study. All web-based courses are delivered through Blackboard; MSU provides online tutorials for Blackboard programs, along with other software and tools used in courses like Respondus LockDown Browser and Tegrity Lecture Capture. MSU Online offers free web tutoring services for all online students. New Hampshire's Granite State College offers an extensive list of degree and certificate programs for online learners. Bachelor's degrees are available in 27 areas of study; most consist of roughly 40 courses, and require a four-year commitment. Undergraduates can also earn online minors in 11 academic fields. Two-year students can pursue six different associate degrees, while online master's options for graduate-level learners are offered in business management and educational leadership. Aspiring teachers can also earn post-baccalaureate certification online. Some programs are available in an accelerated format. All online courses are delivered using the Moodle learning management system. Granite State's transfer agreement allows eligible undergraduate students to transfer up to 90 credits into their degree program. Tuition rates are the same for online and on-campus learners. Online students attending Nicholls State can pick from seven bachelor's degree programs in areas like business administration, nursing, and sociology. Additional distance-learning options include associate degrees in petroleum services and science in safety technology (STAS), along with a master's degree in curriculum and instruction with a reading specialist concentration and a post-baccalaureate certificate in applied business administration. Online courses at Nicholls State follow an asynchronous format, and are eight weeks long. Students who are unable to complete their coursework within the eight-week timeframe may continue the course later for an additional fee. The university delivers web courses using Moodle, and offers virtual advising sessions via Google Hangouts. Tuition rates for online students are not impacted by state residency. In order to rank the 50 best accredited online colleges and universities, we built a detailed methodology that weighs several factors across three major categories. Online Flexibility comprises 35% of the overall score: this metric includes the percentage of students currently enrolled in at least one online course, along with the number of online bachelor's programs at each school and the availability of digital media resources. Academics represents 40% of the score: this section examines each school's annual admissions, enrollment, retention, graduation, and student-to-faculty ratio. Finally, Experience & Affordability accounts for 25% of the score: this metric weighs the school's financial costs (tuition and net annual price) against the percentage of degree-holders who ultimately default on their student loan payments. In order to be considered for our list, a school had to offer a minimum of six online undergraduate programs. A unique component here is the Career Opportunity Indicator, which uses average salaries among graduates with different levels of work experience to measure a degree program's overall return-on-investment. Below, you will find detailed descriptions of all 12 specific metrics in the three categories used to generate each school's overall score, as well as the percentage breakdowns of these metrics. Number of Online Bachelor's Programs 40% This factor measures the school's overall number of online bachelor's programs. Most colleges offer some online degree options, and the schools that scored well in this metric feature web-based programs across a range of academic subjects. By definition, these programs consist entirely of online coursework, though students may occasionally be required to visit their school's campus for orientation. Onsite internships and/or practicum courses may also be included, depending on the student's major field of study. Total Number of Online Media 30% This factor evaluates the multimedia resources at each school. These resources include learning materials like eBooks, databases, virtual libraries, and online study guides, along with web forums, chat functions, and other outlets for students to interact with professors and classmates. Supplemental online resources are important for students because distance learners may not have immediate access to campus libraries and other materials available to traditional students. Percent of Students Participating in Online Classes 30% The percentage of students currently enrolled in at least one online course. The percentile includes students who learn exclusively online or in a hybrid format. This factor is important because there is a direct correlation between a school's commitment to online programs and the percentage of the student body enrolled in web-based courses. Graduation Rate 25% This factor indicates the percentage of enrolled students who successfully earn a degree on schedule. Graduation rates can be used to measure overall student satisfaction, as well as the quality of academic resources available for current students. The highest four-year graduation rates among colleges and universities ranged from 89.7% to 91% in 2014. Admissions Rate 20% A school's admissions rate represents the percentage of applicants that are admitted each academic term. This metric measures a school's selectivity. The most exclusive colleges and universities have admissions rates that fall between 5% and 33%; other schools admit any student with a high school diploma or a GED. Students should also look at a school's overall student population to determine roughly how many applicants are admitted each year. Enrollment Rate 20% A school's enrollment rate (or matriculation rate) measures the percentage of admitted applicants who ultimately attend that institution. Students can weigh enrollment rates against the admissions rates at each prospective school to determine the most popular academic destinations among current students. Retention Rate 20% Retention rate refers to the percentage of enrolled students who remain at a particular college or university on a year-to-year basis. This helps you compare overall student happiness at different schools, as high retention rates indicate student satisfaction. Retention rate also demonstrates a school's ability to help students with specific learning needs and enable them to earn passing grades in their courses. Student-Faculty Ratio 15% This metric compares the number of faculty members to the number of students at a given school. Generally, smaller student-to-faculty ratios indicate a greater emphasis on individualized education. The average ratio among all U.S. colleges and universities is eighteen students per faculty member. Liberal arts colleges with the lowest ratios fell between five and eight students per faculty member. Average Default Rate 30% Students who receive federal or private loans are expected to begin repaying their financial aid upon graduation. The average default amount represents the percentage of graduates from a particular school who are unable to repay their loans within a predetermined time frame. This metric can be used to evaluate how well schools prepare graduates for the workforce, since lack of employment is one of the leading causes of loan default. Career Opportunity Indicator 25% Statistically, college graduates earn higher salaries than employees without any college experience. The Career Opportunity Indicator represents the average salary of a college graduate in a specific professional field after 20 years in the workforce minus the average net price of a four-year degree at a particular school. This figure is then weighed against the average salary of a high school graduate in the same field after 24 years of employment. The difference between these two salaries represents the overall return-on-investment a college graduate receives by obtaining a degree. Average Net Price 25% A college's average net price includes all associated costs â tuition, books, room-and-board, and administrative fees â minus a student's total amount of financial aid. This metric determines how much money you should expect to pay out-of-pocket for your program. The net price may be much lower than a school's advertised price. The College Board notes that the average net price for tuition and fees at U.S. postsecondary schools is $3,980 per year, compared to the average âpublished' price of $9,410. Average Tuition 20% Average tuition looks at the advertised price of tuition. Unlike average net price, this factor does not include the impact of a student's financial aid. Tuition prices vary between public and private institutions and, occasionally, between majors at the same school. State residency is another determining factor; students who are classified as âin-state residents' pay much less in annual tuition than those who are considered âout-of-state residents' at public colleges. Online courses are generally taught in one of two overarching formats. Some classes are taught synchronously, meaning students are required to log in at certain times to receive instruction from the professor. These courses generally use videoconferencing, streaming audio/video files, and real-time presentations. Other courses are taught asynchronously, or self-paced, allowing students to submit assignments and take exams on their own schedule. Professors and students use email and discussion boards as the primary modes of communication. In either case, online courses offer a more flexible and convenient learning schedule than face-to-face courses. Online courses allow students to complete course requirements from their home computer. This format is conducive to students who cannot easily travel to and from a college campus every day, including those who are chronically ill or disabled. The virtual learning environment is also suitable for students with daytime commitments, as distance learners have 24-7 access to materials for most online courses. The flexibility inherent in online colleges allows students to pursue their degree while working full-time. An accredited program leads to higher earnings, enhanced employment opportunities, and increased job security. Working while earning a degree can also help offset some of the associated costs of higher education. 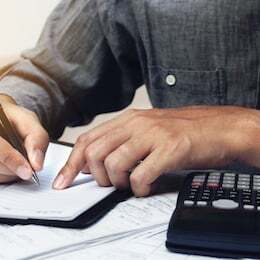 Online and residential courses often have the same tuition, though several online colleges allow students from out-of-state to pay in-state tuition. Distance learners will also have low commuting expenses, and students who live with their parents or other relatives may also save on housing and meals. Many online courses require students to engage with their professors and classmates using virtual chat forums and discussion boards. These web-based interactions tend to be more substantive than those found in classroom-based courses, since they encourage shy or introverted students to participate more often. The best online colleges and universities offer learning platforms that are inclusive and comfortable for all learners. Computer and web-related skills are important in today's workplace. Over the course of an online degree program, students can learn various technical competencies â such as email communication, web-based research, and operating different types of multimedia â that will make them more competitive candidates in the job market. Students can choose from thousands of accredited online degree programs in a range of academic subjects. Students should follow a path that not only interests them, but also has the potential to lead to a successful career. The best online colleges and universities effectively prepare graduates for the workplace. Certain trends â such as median annual salary, unemployment rate, and projected growth â can be used to compare the overall viability of different professional sectors. Before officially applying to different colleges and universities, you should carefully design your budget. You should research official school websites to learn more about the expected costs of tuition, as well as overall net price. You should also submit a Free Application for Federal Student Aid (FAFSA), to help determine your eligibility for federal loans, scholarships, and grants. You should also identify scholarship and grant opportunities from companies, nonprofit organizations, and the school you plan to attend. Online students who are not expected to live on-campus should calculate their living expenses as part of the net price. Which school will provide the best education? Students can compare different online colleges and universities by looking at each institution's learning outcomes, such as retention rates, graduation rates, and job placement statistics. Students should also look at student-to-faculty ratios in order to find a school that offers an ideal classroom dynamic. Accreditation status is another important factor; students should only consider schools that have been fully accredited by a recognized accreditation provider. 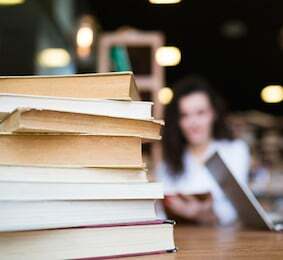 Finally, degree-seekers should evaluate each school based on diversity of academic programs in their proposed field of study, along with online learning resources like virtual libraries and databases.